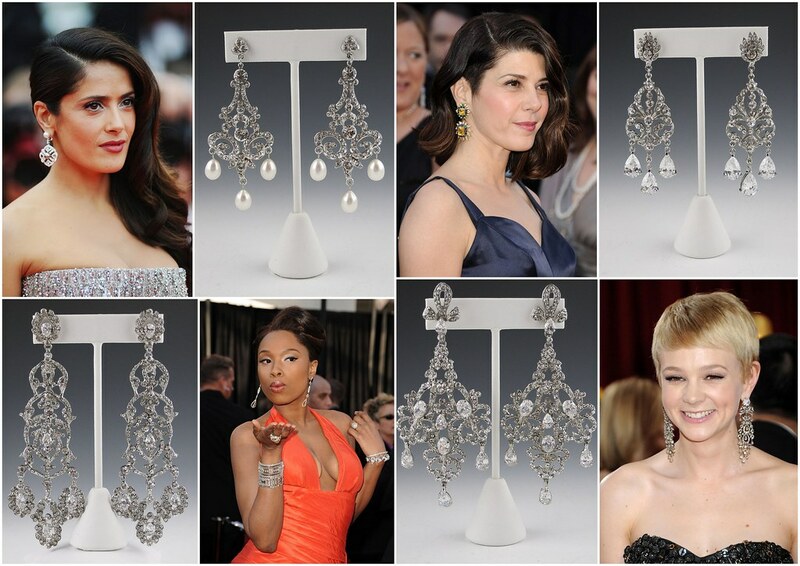 Red carpet regulars can attest that nothing makes a statement like glittering, dramatic earrings! 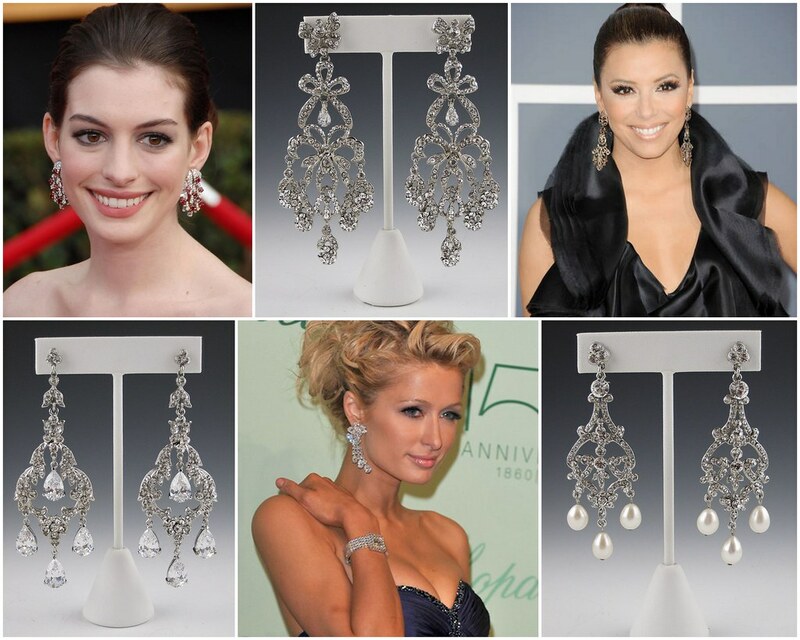 Those fabulous chandelier gems spotted on celebrities far and wide are equally dazzling for a walk down the aisle. As far as we’re concerned, there’s nothing like gorgeous, sparkly earrings to amp up the glamour. Plus, since most wedding day pictures will feature you from the waist up, you’ve got the perfect excuse. Visit us at our New York bridal accessory boutique to choose spectacular earrings in sync with your bridal style. This entry was posted on Tuesday, June 28th, 2011 at 7:38 am	and is filed under Bridal Trends, Red Carpet Style. You can follow any responses to this entry through the RSS 2.0 feed. You can skip to the end and leave a response. Pinging is currently not allowed.